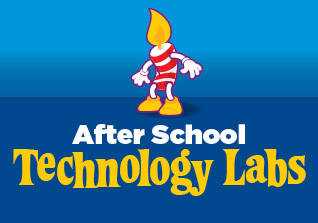 An exciting after-school program featuring rotating themes and different technologies each week! Each session includes 1 hour of creative learning and fun in the Tech Lab, and 30 minutes of physical activity and fun in the bounce stadiums. There will be different technology opportunities at each session, such as LEGO robotics, engineering, movie-making, 3D printing and much more! *Classes must have a minimum of 5 students to run Lab each month. *Classes run once a week on Mondays for four weeks. New preschool program designed to spark the imagination, engage the intellect using Lego® bricks, and, at the same time, offer an equally important dose of fun and physical activity. 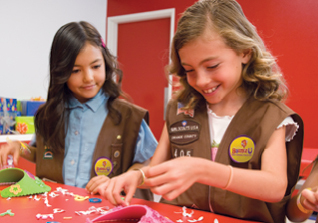 Exciting, hands-on, progressive educational activities led by fun and caring instructors. Preschoolers will get to do an Arts-n-Crafts, Lego Project and Bounce during the program. Themes vary from ABC, Numbers, Colors Moons & Stars! and many more. Classes must have a minimum of 5 students each month. Classes run once a week on Tuesday for four weeks. Sensory Bounce w/LEGO® is a special program for children with special needs that combines bouncing and interactive Lego® Projects. It provides opportunity for children with Special needs to bounce, socialize, get introduced to a variety of Technology projects and be themselves in a supportive environment. Children will bounce for 45 mins and work on their Technology Project for 45 mins. The Lego projects will range from Lego Bricks, Lego Robotics & Lego Stop Motion Videos and will be geared towards Children with Special needs. *Classes must have a minimum of 5 students to run each month. 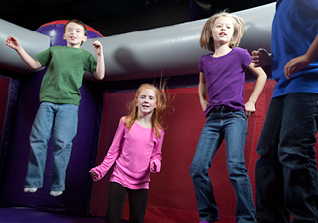 Fitness Bounce is a great way to get your child off their electronics and moving. 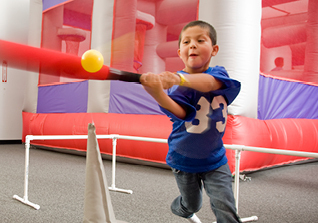 Fitness Bounce combines BounceU’s amazingly fun inflatables and physical activity. We will have different stations and obstacles through the inflatables set up for all participants. The best part is that parents are invited to stay and get active with their child (one Adult per paid participant). 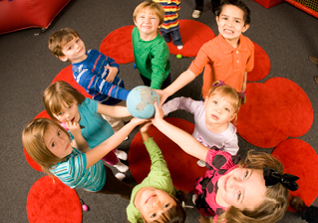 Group Physical Activity is a great way to help your child build a healthy life style and have fun at the same time. *Classes run once a week on Thursday for four weeks.